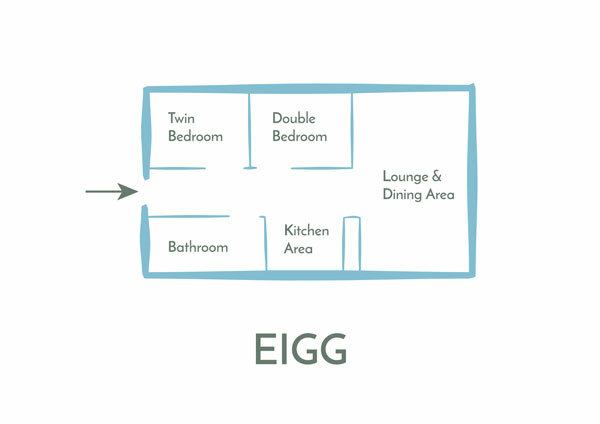 Eigg Lodge is a Scandinavian Style lodge with 2 bedrooms and one bathroom with shower over the bath. 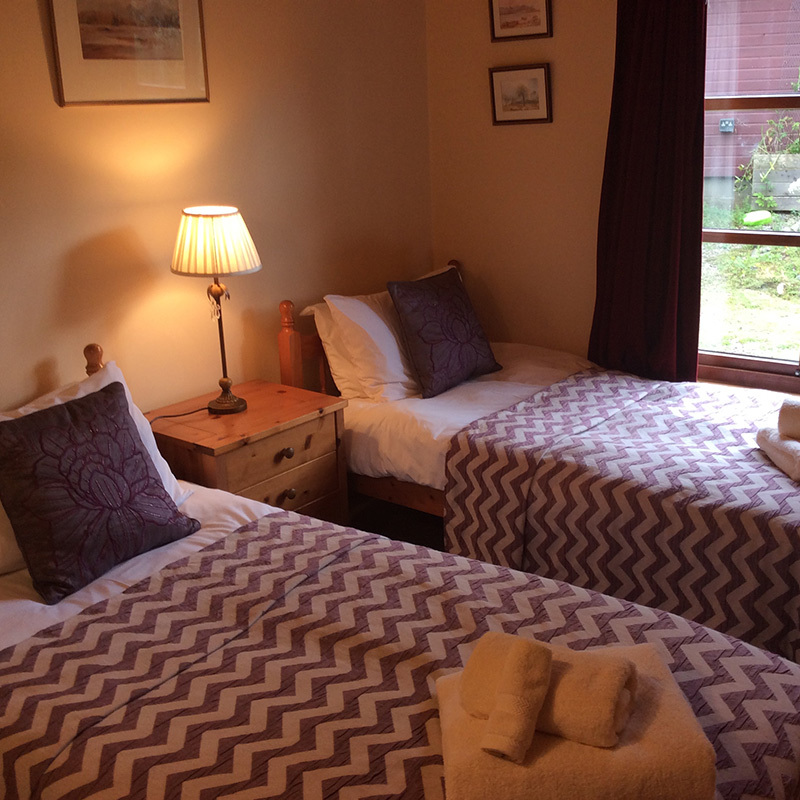 There is one double bedroom and one twin bedded room. Eigg sleeps up to four people. The lodge has electric heating in every room controlled by you, so whatever the weather, or your personal temperature preference, you are in control. Heating and electricity are included in the price of the lodge. 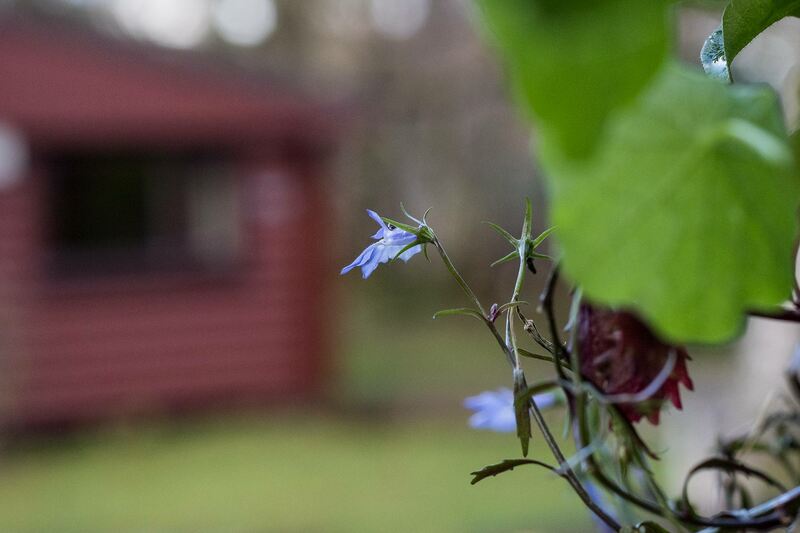 Eigg has a large secluded deck area outside the lodge with seating and a barbecue. Our little flock of hens often hang around outside this lodge, and can be quite entertaining when they sit on the deck fences cleaning their feathers in the morning and (presumably!) chatting about plans for the day! The kitchen is at one end of the open plan living area. It is equipped with an electric cooker and hob, dishwasher, microwave and an under unit fridge with a small freezer compartment. There are ample pots, pans and cooking equipment for 4 people as well as all the crockery, cutlery and glasses that 4 people will need. There is even a rolling pin – just in case you have the urge to do some baking! The Lounge and Dining area make up the remainder of the open plan living area. The oak dining table and chairs seats 4 people and can be extended to seat 10 if you want to entertain friends staying in other lodges. The wicker lounge furniture continues the natural theme we have in our lodges, and the TV has a built in DVD player and enough sockets for you to plug in the usual technology that has become part of our lives these days. The double bedroom has a 4’6″ bed with crisp white bed linen, bed side tables, chest of drawers and a built in wardrobe. The bed is made up ready for you to crawl into! Towels are also provided. The twin bedroom has two 3ft single beds, a bedside table, an oak dressing table and a built in wardrobe. The beds are made up ready for you with crisp white bed linen and towels are also provided.